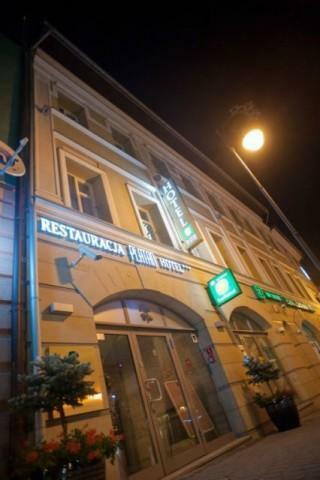 Platan Hotel is located in the center of Chrzanow and is located in a historic, nineteenth-century building. Chrzanow Downtown Railway Station is just 500 meters from the hotel. The hotel has 18 double rooms and a studio room. Each room is individually designed and stylishly as well as comfortably furnished. All rooms are equipped with air conditioning. In addition, the rooms have 32-inch LCD TV with satellite channels, free wireless internet access and a telephone. The hotel has a monitored parking and Wi-Fi. 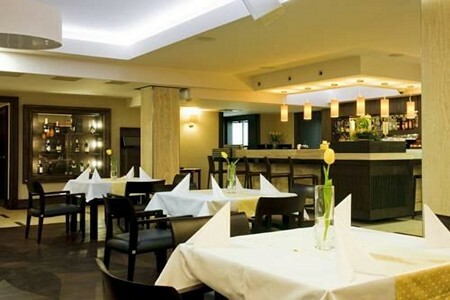 Hotel's restaurant serves excellent European cuisine. Every morning buffet breakfast is served. The hotel has a soundproof, air-conditioned conference room, which can accommodate up to 60 people. It is equipped with a projection screen and a projector.